How did you celebrate World Card Making Day yesterday? 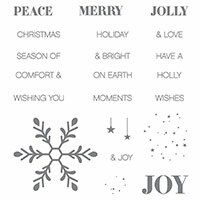 Did you make a card? We actually got together with some Master Stampers for a live online event. Ann broke out the Watercolor Wishes Card Kit to make a quick card and then they all got out their Envelope Punch Boards to make this gift box for cards. 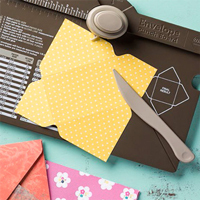 And you can save 25% when you purchase the Envelope Punch Board today (while supplies last). And they made it out of just one sheet of card stock and ONE stamp set! HAPPY WORLD ANIMAL DAY to one of my FAVORITE animals! Oh, thank you, Lynda. A comment from you is worth more than gold!